Bridge antennas are pre-configured for "out of the box" installation and operation. External Signal LED's will assist with alignment and troubleshooting procedures. 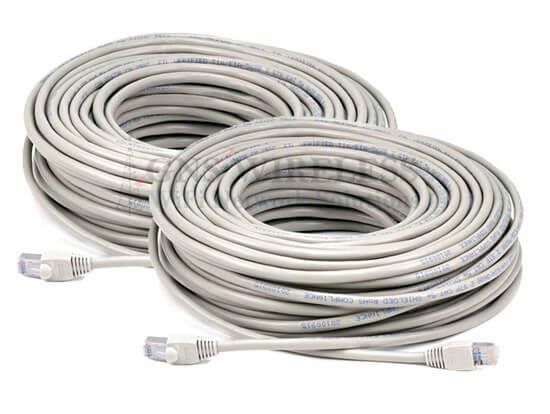 Maximum cat5e cable to be used on each end is 250ft. (Shielded cat5e is recommended). 1 year warranty includes technical support. This Point to Point Wireless Bridge is a low latency link, that includes a pair of outdoor access points, that have an integrated 16dBi directional patch antenna built into the enclosure. This means that only a single, small enclosure is required at each location. Once the AP's are installed at each location, the Wireless Bridge operates as a transparent bridge, and will pass all network traffic between your two locations. The Wireless Bridge operates similar to an invisible Ethernet cable connecting your two locations. Each antenna has a beam width of about 9°, so aligning the antennas is easy. There are real time signal LED's on the backs of the access points for alignment assistance, and troubleshooting. Furthermore, you will have the ability to view real time signal strength, link quality, and noise level, using the web based configuration. Each AP has a static IP address, used strictly for web based configuration, and troubleshooting. Low latency is required when VoIP or video is being streamed across the wireless link. For a low latency connection, total packet delivery time needs to be 100ms or less. For voice applications, low jitter is also important. Jitter is the variation in latency, or the difference between the fastest and slowest packet response times. This wireless link, will have both qualities, and assuming you have clear line of sight between the two locations, has a maximum distance of 1 miles. Contact us for more information. At the MAIN location, you will typically connect to an open LAN port on the back of your existing router, or switch. At the REMOTE location, you can connect either directly to a PC if you only have a single computer, or you can connect to an indoor wired/wireless router. This will allow you to run multiple computers over the wireless bridge. See Diagram below. With clear, un-obstructed line of sight between your two locations, a maximum range of 1 mile can be achieved using this link. Please note that this Point to Point Wireless Bridge operates between 5.3-5.8GHz. If you plan on installing more then one link at the same location, you want to avoid interference between each Point to Point link by using separate channels such as CH. 60 (5.3GHz) and CH. 149 (5.7GHz). 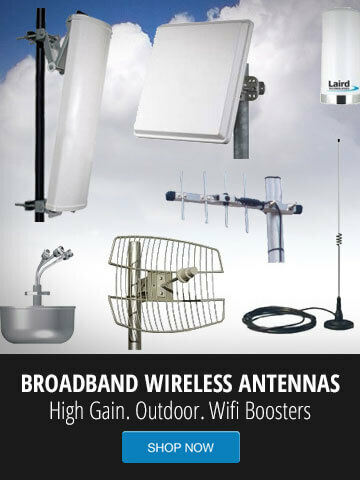 Mount the outdoor access points as high as possible to further avoid any other 5GHz interference. Each access point has scalable output power. Power can be scaled back for closer installations to avoid noise issues and to meet local regulatory requirements. This Wireless Bridge is connecting at a frequency above 5GHz, which means if you have trees or other obstacles in the path of your Point-to-Point connection, you will still have a strong and solid connection at short range. Simply mount the enclosure outside in the direction of your remote location, connect the cat5 network cable to your LAN, and you're ready for connectivity. This Wireless Point to Point bridge operates as a transparent bridge. It is similar to an invisible Ethernet cable connecting your two locations. It includes multiple security options including WEP/WPA/WPA2. It also has ability to enable MAC address authentication so that only the two access points are able communicate. You can hide the network SSID, and because the beam width of the antennas is directional, (about 9°) the signal is not being broadcasted in all directions, only in the direction you aim the outdoor antenna. 128 bit AES encryption is included. If you have any other questions, please contact our Pre-Sales/Technical Support Dept. at (516) 214-0321. This wireless Ethernet bridge link delivers up to 54 Mbps of sustained data throughput using the 5GHz Frequency. The IP-native bridge operates in multiple 5 GHz bands, which offers network operators highly flexible choices between multiple frequency bands in the convenience of one radio (5.2 GHz, 5.3 GHz, 5.4 GHz, or 5.8 GHz), and provides improved performance and valuable operational flexibility in high radio frequency (RF) noise floor environments. Dual Ethernet Ports: This will allow you to daisy chain radios at your installation sites. This can benefit you as an installer, as the dual Ethernet ports will allow you to plug in PoE devices such as network cameras or other Outdoor Access Points. More Robost Routing Features: Includes Tunneling Protocol Support, which will allow you to pass through VPN clients, as well as use tunneling protocols such as VPN, PPTP, RSA and others. Wi-Fi Protected Access (WPA): Wireless Protected Access impoves on the security features of WEP. It includes impoved data encryption and user authentication, and AES Encryption. All New Client Adapter Features: With this Outdoor Access Point, you will be able to align your client and point-to-point installations without having to log into the radio. You will get visual signal strength at a glance by using this great new feature, using the alignment LED's located on the back of the Access Point. Controllable High Gain Output: Both radios have 13dBm maximum output. This works great for long distance Point-to-Point applications, as well as Client applications. Power can be scaled back for closer installations to avoid noise issues and to meet local regulatory requirements. Wireless Security: WEP, WPA wireless security is included in this wireless backhaul. This will encrypt the data being sent between the connection. Also included in this wireless backhaul is AES encryption, which is a higher level security feature then standard WEP/WPA. The two radios can also be configured in PXP mode, which enables only the two outdoor access points to communicate with each other, avoiding any other access to the network. The wireless bridge operates seamlessly as a Wireless Bridge between your two locations. Wireless Interference: This wireless Ethernet Bridge is operating at 5GHz. At most locations, this frequency is used less frequently then the standard 802.11b/g, so interference is usually minimized. If you experience interference at this frequency, check that your antennas are not mounted directly on a metal surface, have line of sight between each other, and try changing the channel to one that is available . You may also want to move to a 802.11b/g, 2.4GHz wireless bridge. Click here for an 802.11b/g wireless bridge. The information provided on your web site has been very valuable. I’m looking for some expert advice on how best to reliably and costs effectively extend my homes wireless network to an unattached building on my property. The metal building sits about 75’ away from my main residence, with about 15’ of elevation change (e.g. slightly up a hill). There are no LOS obstructions and since I live in a very rural area, other wireless traffic is mostly non-existent. I currently use 2 Linksys WRE54G extenders to provide access to the detached building, but the connection does not provide the reliability that I require. For my home network I currently use a Linksys WRT600N router which manages connectivity very well for about a dozen wireless G and N devices. I currently run WPA-Personal with AES and TKIP encryption, with the N traffic on the dedicated 5 GHz band and G traffic on 2.4 GHz. I have a Linksys WET200 wireless bridge to provide connectivity for some of my home entertainment gear. My wife has a Mac Book Pro with built in Wireless-N network adapter and our children have notebooks with Wireless-G adapters. My preference would be to preserve the wireless capability within the classroom. Based upon what I’ve read on your site there are a number of solutions such as WAP with directional antennas or even wireless point to point bridge. I’m looking to make a purchase and perform the installation immediately and would appreciate any recommendations for a cost effective and reliable solution. What you need is a cost effective point to point bridge to connect the two locations. This will allow you to have a separate wireless router inside the remote building, which can be used for local access to the laptops in that building. The part number is GNS-1151N, which includes everything you need to connect the two locations. At the main location, you will connect the radio to the LAN port on your wireless N router. On the remote building you will connect the radio/antenna to the WAN port on your remote wireless router, (routers not included.). The radios should be mounted outside, and pointed at each other. They are housed in a weather proof enclosure, with a small form factor of 6" x 4" square. The wireless bridge comes pre-configured, so all you have to do is mount them and power up. I have a customer that needs to connect their network to a building about 300ft away. I was looking at the wireless kit, Part # GNS-1141. Is this the least expensive solution you offer for share a internet signal between two locations, or to connect line of sight internet at 300ft.? The most cost effective solution to bridge two buildings at 300ft, with clear line of sight, is the GNS-1162N,. This will include everything you need to connect the locations. The radios are outdoor rated, and weatherproof, similar to the GNS-1141, however, if you only require a simply wireless connection to bridge your two remote locations, and do not require high throughput, the GNS-1162N will work great in your situation. The connection will avoid other 2.4GHz frequencies and provide the faster, cheapest wireless bridge solution. Using the wireless n bridge, will allow you to connect the two locations similar to having an invisible Ethernet cable connected between your buildings. Hello, my dad has DSL at his home, I'm 500 ft. farther off the road and can't get the DSL yet. We want to be able to pick up wireless from my house, the line of sight is pretty well clear what would be the best & cheapest wireless bridge to do this? If you are 500ft. away from your fathers Internet connection, you have two options. 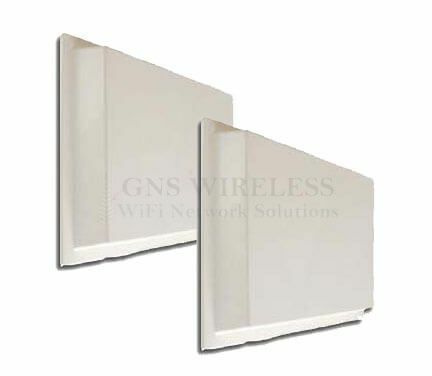 The first would be to use a cheap wireless bridge, such as the GNS-1151N. This will include a complete wireless bridge setup, that ships pre-configured and can even be used for long distance wireless bridging up to 1/2 mile. It includes everything you need for "out of the box" operation. Another option, and one that may be a bit more cost effective, is to create a point to point wireless link between your two locations using a cheap wireless bridge, such as the GNS-1172N, which means having an antenna on each end, pointing toward each other. The antenna on his home connects to the wireless routers LAN port, and the antenna on your home connects to your PC's LAN port, or even to another indoor wireless router (WAN port). This will give you a quality signal between the two, and a solid connection. The radios will be mounted outdoors, and only a single cat5 cable will be required to provide data and power, which simplifies the installation. The antennas included in this wireless to wired bridge are very small, only about 3"x4". They are outdoor rated, and weatherproof. A solution such as this one would be much more reliable then the older linksys wireless ethernet bridges. A linksys router, or cisco wireless router can be used on either end (not included). The exact router you choose is completely user preference. For more information on increasing your wireless range indoors, using wireless routers, and range extenders, or mesh networks, click here.